Writing resources for library patrons. Authors, submit your eBook to SELF-e to have it showcased in the Indie North Carolina Statewide Collection while retaining all rights to your work. 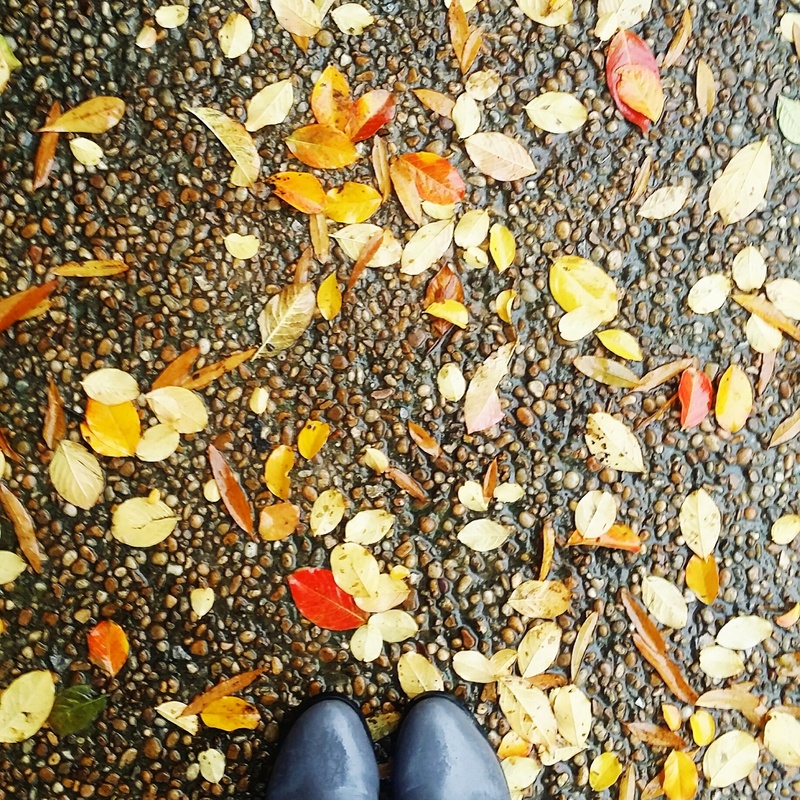 Readers across the state can discover your work with the potential for national exposure. Discover local content from self-published authors, top indie eBooks, titles from the Homegrown collection, and so much more. Never experience a hold, checkout or lending limit. Download the BiblioBoard Library app for your Apple, Android, or Kindle device now, or visit BiblioBoard on any web browser. Read Through Our Eyes, an anthology created by library patrons in the summer of 2016. Use this step-by-step guide to start writing your own novel! Pressbooks Public Tutorial from BiblioBoard Library on Vimeo. 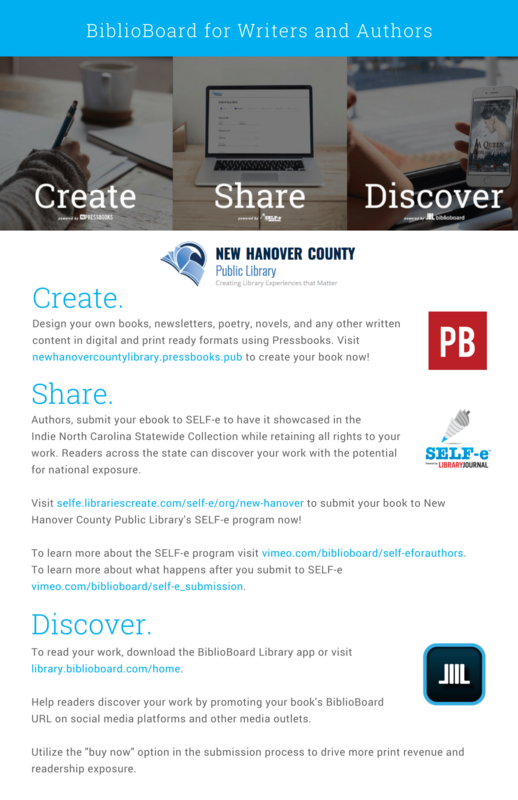 The SELF-e platform enables public libraries to accept self-published submissions from their local authors & make those ebooks available to patrons via participating libraries throughout their state. Libraries can make these ebooks available to patrons with no checkouts or returns, & no multi-user limitations. The platform is easy to use and can accommodate any author. 1. DO I EARN ROYALTIES FOR SALES? Distribution via the SELF-e platform is royalty-free. SELF-e is a marketing and discovery service aimed at helping authors build an audience of readers. 2. WHAT DO YOU DO WITH MY EBOOK IF IT IS SELECTED FOR SELF-E? You sign a non-exclusive license to make your book available to public library patrons via subscribing institutions in the public library market, including subscribing public libraries in your state. Authors are not restricted in any manner from promoting and selling their ebooks to any market they choose as a result of participating in SELF-e (including the public library market via other vendors). The author will be given a digital badge to use to promote their inclusion to potential readers who may choose to purchase a copy of that title and/or other books by that author via retail channels. 3. WHAT IF MY BOOK ISN'T CHOSEN FOR INCLUSION IN LIBRARY JOURNAL'S SELF-E MODULES? Even if your ebook is not selected for Library Journal's SELF-e modules, you can still opt to include it in a statewide module with other local authors. Library Journal will not curate these modules; rather, the platform provides libraries with an opportunity to highlight the creative output of their state's authors and to provide their respective communities access to ebooks by local authors. SELF-e — Powered by Library Journal from BiblioBoard on Vimeo. SELF-e for Authors from BiblioBoard on Vimeo. Follow New Hanover County Public Library's board NHCPL Writes on Pinterest.